SAME HAT! 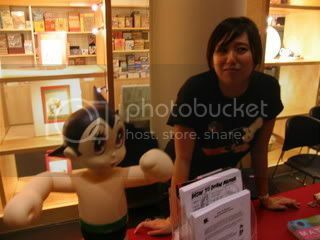 : TEZUKA PUBLISHER PANEL IN SF... TONIGHT! 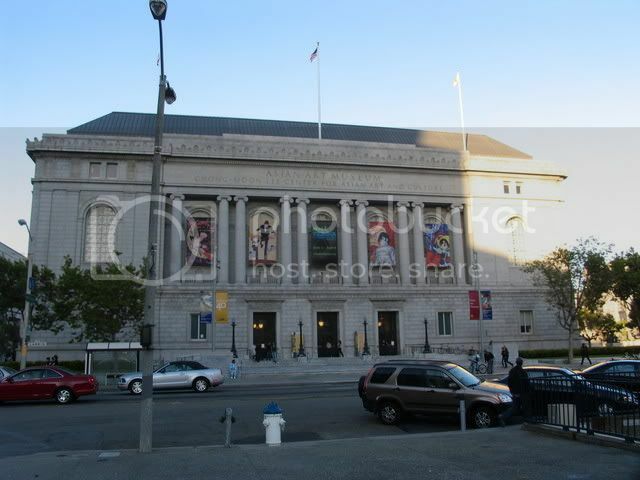 Tonight in San Francisco, the Asian Art Museum is hosting a manga meeting of the minds, assembled to talk Tezuka. 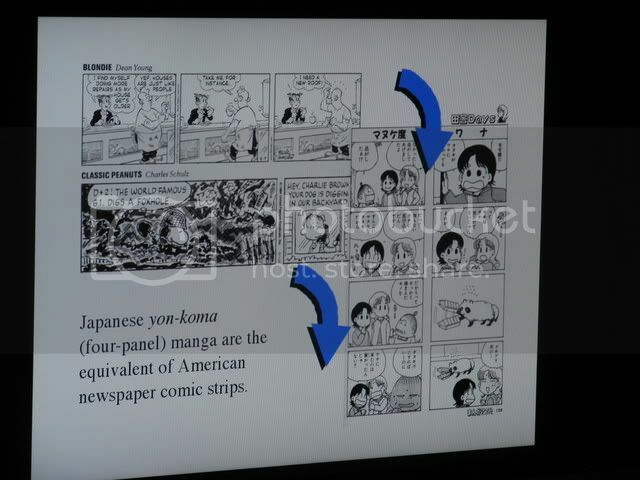 The event is titled Tezuka in the USA: A Manga Publishers’ Forum and starts at 6:30. + Alvin Lu: VP of Publishing for Viz. + Carl Gustav Horn: Editor at Dark Horse. + Anne Ishii: Director of Marketing/Publicity for Vertical. + Ian Roberston: Editor (of Phoenix) at Viz. + Is Viz sitting on the rights to Blackjack, and are you gonna release the rest of the series? + Dark Horse, can you talk about the decision making process that has driven a lot of the incomplete series that have been put ON HIATUS over the past year? + What is the rationale, from a business and editorial perspective, that drives so many publishers lately to release short story collections, such as Endo's Tanpenshu, Samura's Ohikkoshi, Hino's Lullabies From Hell and Inuki's Presents? Is it because they are a safer bet financially, or perhaps are being used to "test the waters" for a specific manga-ka/genre? Isn't it easier to market and sell a Gyo or Uzumaki than a Museum of Horror series? 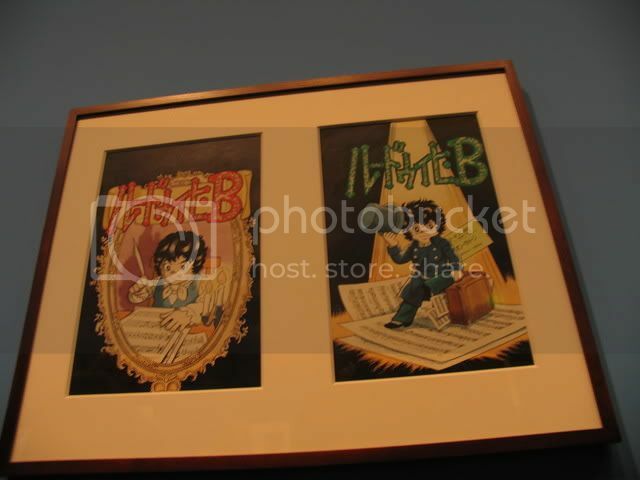 + Vertical, why are you so awesome? 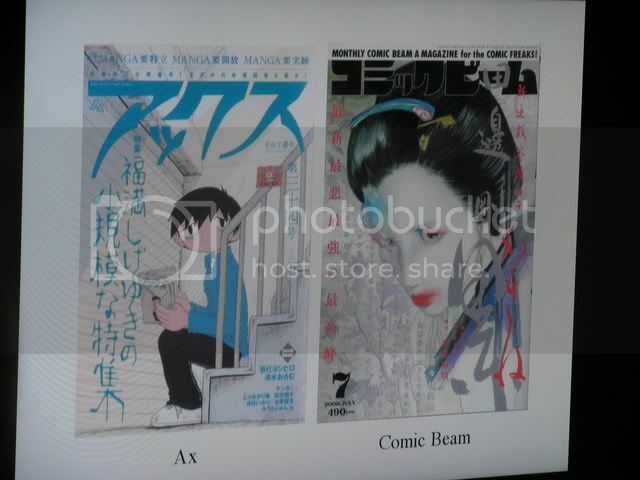 Also, can you get us more info (genre, creators, etc) on your new manga imprint, launching in 2008? If anyone has any other questions, post them in the comments this afternoon and I'll see if I can blurt them out during open mic. I'll definitely be posting a PANEL REPORT this weekend! This panel is one of many manga events the Asian Art Museum has been hosting this summer, concurrent to the TEZUKA EXHIBIT. Tonight will be my third time checking out the exhibit, and I'm excited to spend even more time poring over the original pages (and there's always their creepy Yoshitoshi woodblock print exhibit as well-- a major influence on Same Hat favorites like Maruo and Hanawa). 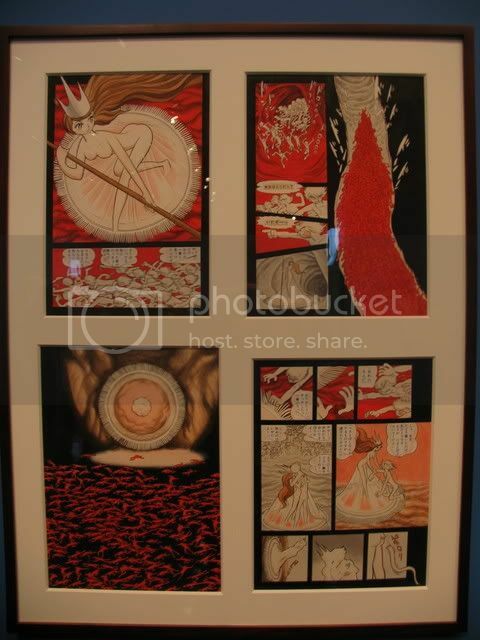 Our buddy Jen works at museum, and reminded me recently that the show closes SEPTEMBER 9. This means, you've basically got about 3 more weekends to see dozens and dozens of original manga pages and painting by Mr. Tezuka. STOP BEING LAME AND CHECK IT OUT! 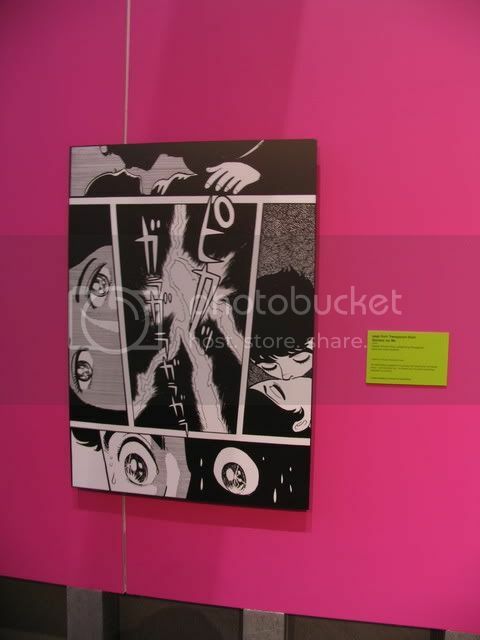 Other events have included Manga in the Making series, which features artists, working in residence, there to talk comics and their creative processes. It's cool because they're being paid to hang out and work, and it's a great opportunity to get to know these cool people and check out their new stuff. The artists participating include a who's who of Bay Area cartoonists, including our friends Hellen Jo, Anthony Wu, Derek Yu, and Jason Shiga (who you can meet and hang out with this week at the museum). Later this month they'll also be featuring Gene Yang and Lark Pien too. 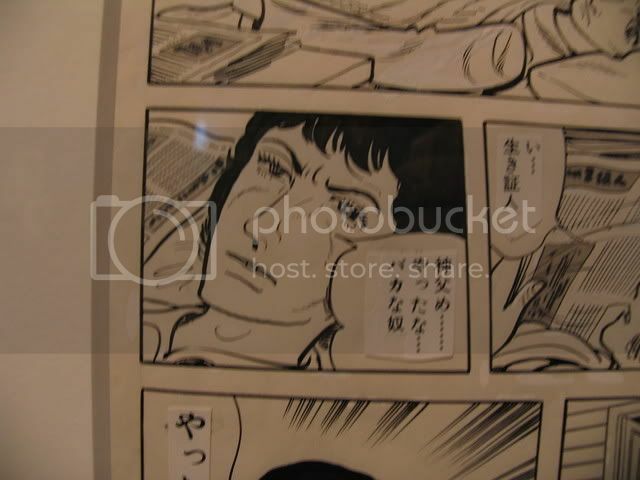 The museum also recently hosted a superb lecture by writer/translator Fred Schodt, who talked about his friendship with Tezuka and the legacy left by Astroboy on the manga industry in Japan and America. I didn't snap any pictures that day, but Schodt presented a really personal, interesting slide show presentation, peppered with a lot of anecdotes from working and traveling with the God of Manga. Fred also autographed my super old, dogeared copy of Manga! Manga! for me. He is an extremely smart and interesting dude, and I'm hoping to have the chance to possibly interview him at some point in the future. 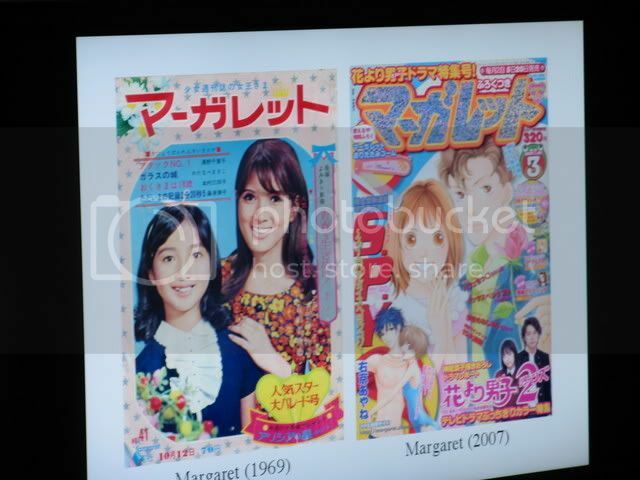 FINALLY (since I'm rounding up all things Asian Art Museum today), a few months back as part of their Thursday night MATCHA event series, the museum hosted ex-Viz editor Jason Thompson for a lecture on weekly manga magazines. Jason has been giving talks around the country to promote his new book MANGA: The Complete Guide, coming out in October. The book is an incredible feat of both nerdity and journalism, and deserves an entire (upcoming) post devoted to it. I'm not trying to scare you or anything, but this man has read EVERY manga EVER published in English. Try to top that! 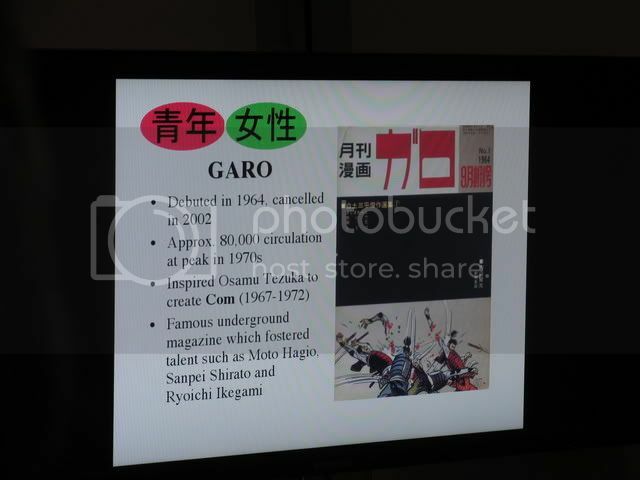 The grandaddy of AX, and purveyor of the mature and weird: GARO! 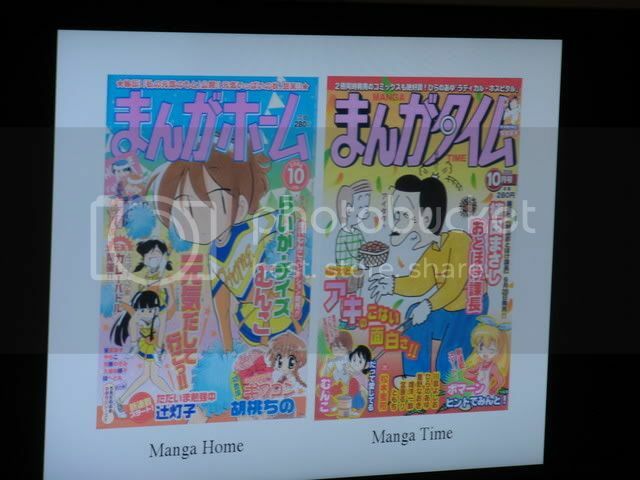 Two of the better known yonkoma magazines. 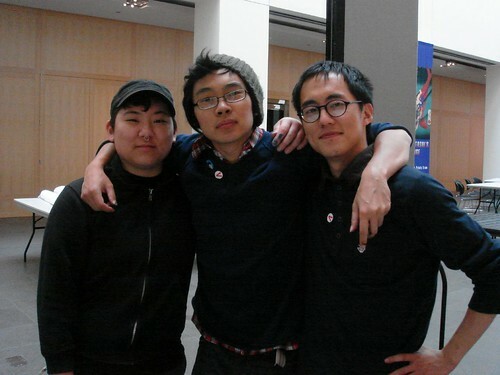 I spy Bay Area's golden boy: Derek Kirk Kim! 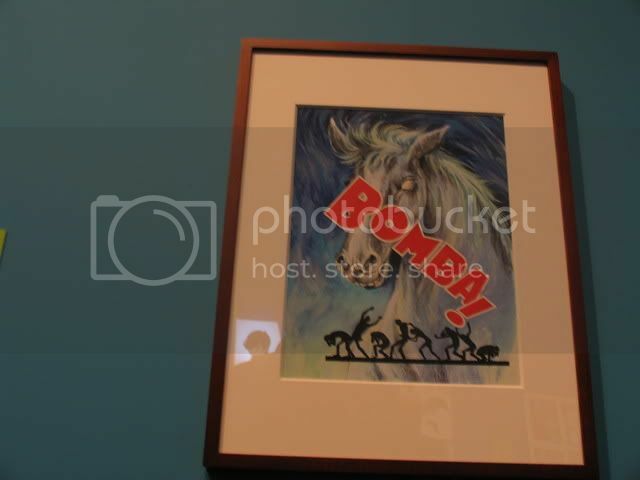 Another poster; I want this in my apartment. Look for a post this weekend about the panel, along with other goodies (as always). thanks so much for giving us so much love. see you tonight. ps - love the Qs, spoken like a true manga maniac. that's awesome! I have about ten issues of GARO and like five of Comic Cue; I wish I had known about AX. Thanks for the report! It's like taking me there. What do you know about 珍遊記？ I picked up a copy of this bizarre comic today and it looks amazing. 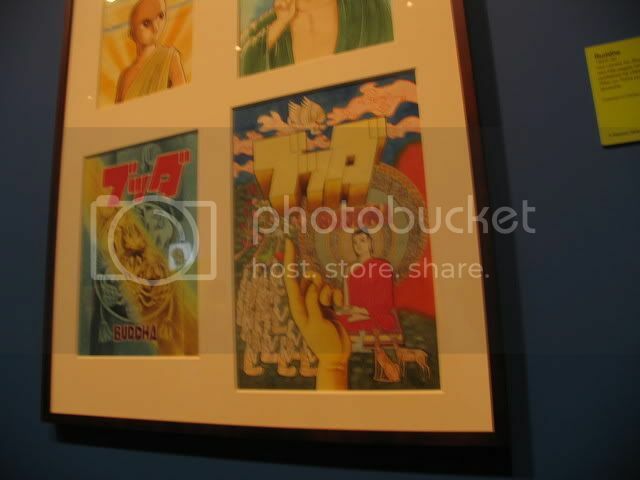 wowww...i would love to of seen those original Tezuka pages...ugh, so cool... 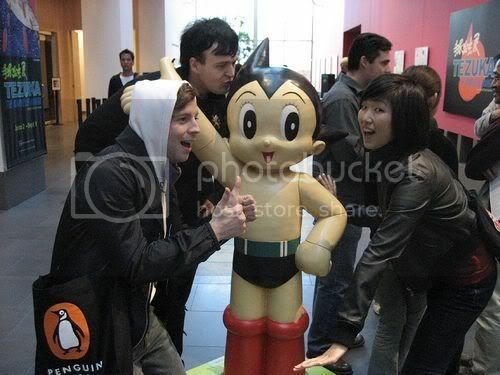 I thought they weren't allowed to leave the country/Japan...I guess for an exhibit its ok? The whole exhibit looks like so much fun. Man-eating horse and all. I still owe you guys copies of my 2 comics. Stuff's been hectic, but I would still like to send them soon. @jenn: Yay for putting together such great events this summer! The thingy started off slow (right?) but ended up pretty damn informative. @khursten: I seriously spent many many minutes just starting at one page. the precision and effects of his brush work is pretty damn humbling. We'll try to post even more pics soon (and if you click the link in the post for Jen, you can see a flickr set with tons more pics from the museum). 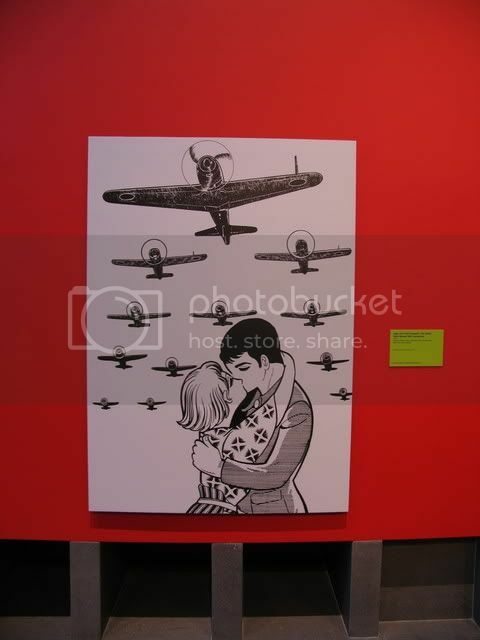 Kinokuniya's new flagship store opening in NYC in early-October, with an exhibit of Tezuka original art? Let us know if you get to go (and take pictures!). Oh man, we miss PULP too. 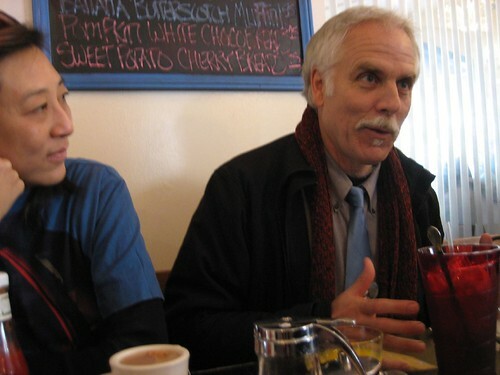 ACTUALLY, I ended up at a bar last night with some folks from the panel, including Alvin Lu and Carl Horn (2/4 of the original PULP crew) and they both talked very fondly of those days. I'll post more about the panel/etc over the weekend, but Alvin basically said that his happiest time at Viz was when they were able to devote a lot of energy to releasing unusual titles via PULP. No rush, but we'd love to see those comics when you get a chance! Great blog entry. Looking forward to reading Pluto one day.